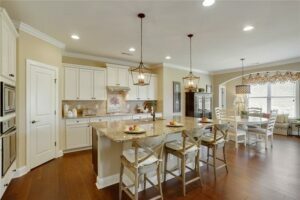 Vanderbilt Homes Invites You to Visit this Beautiful, Move-In Ready Home at Sterling on the Lake! 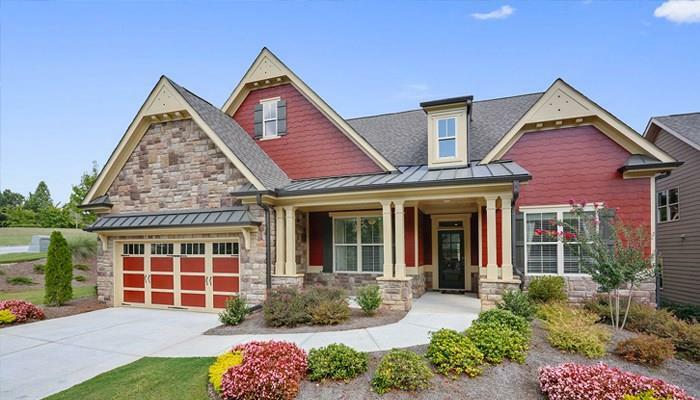 If you are looking for a new home in Atlanta, Vanderbilt Homes invites you to visit our premier community in Hall County, The Springs at Sterling on the Lake™! Our beautiful former model home at The Springs is now available for purchase! Located at 6717 Blue Heron Way, this gorgeous 3 bedroom/2 bath home offers tons of upgrades throughout. The main level features an open-concept layout – the bright and airy family room with exquisite fireplace and built-in cabinetry flows seamlessly into the gourmet kitchen with a abundance of white cabinetry, a huge granite island, and custom backsplash. 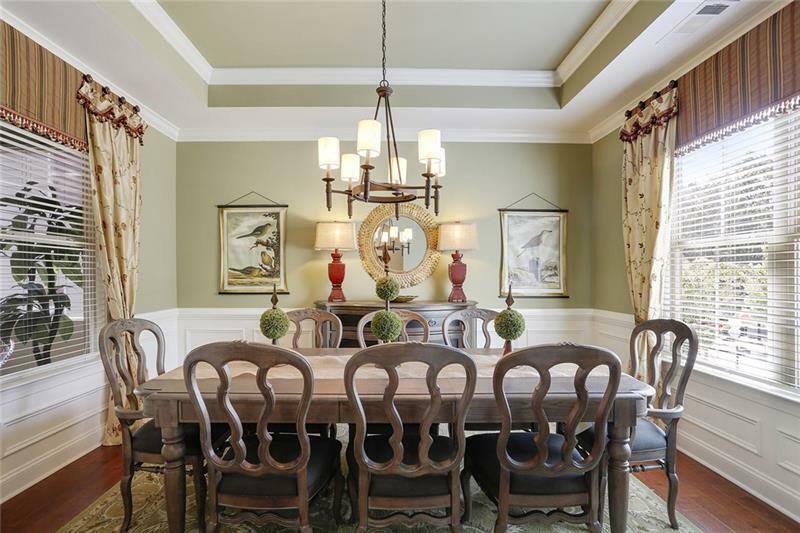 A formal dining room with coffered ceilings is the perfect place for large family gatherings. Hardwood floors extend through the foyer and main living areas. The spacious master suite is on the main level and includes a spa-like bath with double vanities, garden tub, and separate shower. Window treatments, including 2″ blinds, and a stainless steel refrigerator are included! This incredible move-in ready home is priced at $419,900.